Midtown Action Council (MAC), Harrisburg’s oldest continuously operating community group, is adding wireless surveillance cameras to an existing system in the city. The council needs funds to match a grant for more cameras and has started a GoFundMe account to help raise money for the project. 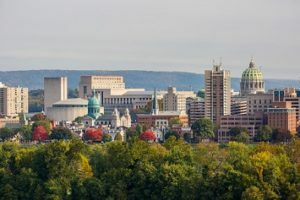 Harrisburg, Pennsylvania’s MAC is using a $15,000 grant from the Pennsylvania Commission on Crime and Delinquency (PCCD) to install the first of multiple security cameras throughout its Midtown. The project was awarded the PCCD grant to help finance an extension of the current wireless video surveillance system, jointly operated by Dauphin County and the city, into Harrisburg’s Historic Midtown neighborhood. A revitalization of the area started in the 1980s and has been steady ever since. Much of this neighborhood is currently being aggressively renovated and rehabbed. The surveillance project will finance the extension of the existing joint city-county wireless camera system infrastructure that was developed in 2013 when wireless security cameras were installed in sections of the city. Phase one of the Midtown project will be complete by October, according to MAC. It will include installing the first camera; however, the council must raise an additional $4,120 to continue adding more cameras. Phase two includes fundraising to install other cameras throughout Midtown, and MAC has started a GoFundMe to help raise money for the project. The wireless camera—and any other cameras added to the network in the future—will be integrated into the existing system for real-time surveillance by the Harrisburg Police Department. Having the infrastructure in place sets the stage for future wireless cameras to be installed strategically throughout the Historic Midtown neighborhood to tap into the real-time system. Safety is the number one priority for MAC, and it’s on the mind of every resident in Harrisburg. This funding will help MAC access the infrastructure it needs to eventually place wireless security cameras in the neighborhood. This represents phase one of the project which MAC will complete in the Fall of 2017. This is just a first step, but it’s arguably the most important step because it provides a foundation to build on. Phase two will begin shortly afterward and will begin to expand cameras throughout Midtown.